Are you struggling to find a mortgage loan that would make it possible for you to become a home owner? Are you a teacher, law enforcement officer, firefighter or emergency medical technician in the United States? 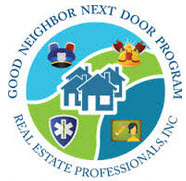 You might be eligible to purchase a home through the Good Neighbour Next Door (GNND) Sales Program, thereby reducing your need for a big mortgage loan. Buy buying your home through this program, you can get a 50% discount off the appraised value! This will of course make it easier to find suitable financing since you need to borrow much less money. Also, lenders really like when there is a big difference between owed amount and appraised value since that makes the loan much less risky for them. What is the GNND Sales Program? The GNND Sales Program is administered by the U.S. Department of Housing and Urban Development (HUD). Through the GNND Sales Program, eligible buyers can purchase a HUD owned single family (one-unit) home at 50% of the appraised value. Example: A house listed by HUD at $800,000 can be purchased for $400,000 if you qualify for the GNND Sales Program. You are not allowed to bargain with HUD – the price is fixed. All HUD homes are located in designated Revitalization Areas, and there are hundreds of such areas scattered throughout the Untied States. All GNND homes are sold “as is”. HUD never provides any Home Warranty. Being a law enforcement officer, firefighter, emergency medical technician or teacher isn’t enough to qualify – you must also fulfil certain other requirements. One of these requirements is not owning any other residential real property when submitting your offer to purchase the HUD home, nor during the 12 months preceding your submission. 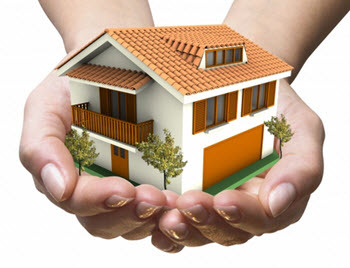 The GNND Sales program can only be used to buy a single-unit home, town house or condominium. It can not be used to buy multiple unit properties, such a a duplex or a triplex. A common misconception is that only first-time homebuyers are eligible for this program, but that is not true. You do not have to be a first-time homebuyers to participate in the GNND Sales Program. When you submit a contract for a HUD Home trough the GNND Sales Program, you must deposit earnest money. The amount of earnest money should be equal to 1% of the list price, unless that would mean depositing less than 500 USD or more than 2,000 USD. If 1% of the list price is less than 500 USD, you deposit 500 USD. If 1% of the list price is more than 2,000 USD, you deposit 2,000 USD. Important: These specifications can change rapidly. Always check directly with HUD for up to date information. All offers where earnest money have been deposited are considered a commitment to purchase if you are selected. It is therefore important to only make an offer on a house that you really intend to buy. If you are selected, the earnest money deposit will be credited to you at closing. If you are selected but doesn’t close the sale, you lose your deposit. If you aren’t selected, the earnest money deposit will be returned to you. You can use FHA, VA, conventional mortgages or even cash to pay for the HUD home under the GNND Sales Program. HUD needs to prevent people from buying a heavily discounted home through the GNND Sales Program just to flip it and make a quick profit. The idea with the program is to help the revitalization of certain neighbourhoods by encouraging certain professionals to move in and remain there. When you purchase a HUD home through the GNND Sales Program, you will therefore be obliged to sign a Second Mortgage and Note on the discounted amount. In the example above, where the listing price was 800,000 USD, the discounted amount would be 400,000 USD. HUD may foreclose this mortgage if you do not comply with the 36-month occupancy requirement. N.B! You don’t make any repayments on this mortgage loan during your first 36 months in your new home, and once you have fulfilled the occupancy requirement, you are released from the mortgage loan. During the first three years of living in your HUD home, you must certify once a year that you are in fact living in the HUD home and that it is your sole residence. During this period, HUD can carry out spot checks at any time. How soon after purchase do I have to move into the HUD home? That depends on the condition of the home when you buy it. HUD will determine how extensive the need for rehabilitation / repairs is (if any) and tell you how soon you must move into your new home after the purchase. The available alternatives are 30 days, 90 days or 180 days after purchase. What happens if I don’t live in the house for 36 months? If you fail to fulfil the 36 months occupancy requirement, HUD can demand repayment of the discounted amount. How much you must pay is calculated on a prorated basis. This means that if you leave after 30 months, you don’t have to repay the full discount – only 6/36 of the full discount. HUD is also permitted to initiate administrative sanctions against you. You can for instance be barred from participating in any HUD/FHA programs, as well as certain other federal programs. If HUD suspects fraud or abuse, the case will be referred to HUD’s Office of the Inspector General for investigation. Criminal prosecution and conviction for fraud and abuse concerning the GNND Sales Program can result in a fine of up to 250,000 USD and/or two years in federal prison. There is of course a big difference between fraud and abuse on the one hand, and a situation where you leave the house prematurely for legitimate reasons, report it to HUD and make the required repayment of the discount. What happens if I change my job during the 36 month period? Only certain professions are eligible for the GNND Sales Program, but you don’t have to stay within that profession to be allowed to keep the house once you’ve bought it. That means that you can change job from firefighter to sales clerk or from teacher to professional wrestler without it impacting your home ownership. You can also go on parent leave, go back to school, retire, get fired, etc. After 36 months of occupancy, you will have fulfilled the occupancy requirement, even if you changed job halfway through. Important: When you apply for the GNND Sales Program, you must certify that it is your good faith intention to remain employed as a law enforcement officer, teacher or firefighter/emergency medical technician for one year beginning with your purchase. What happens if I sell the house after living in it for 36 months? When you have lived in the HUD home for 36 months, you have fulfilled your occupancy obligation and can sell the house just like any other house, and keep any profits. If you qualify for any FHA-insured mortgage program, a 100 USD down payment will be enough and you will be allowed to borrow money to cover closing costs. If the HUD home you’re buying needs to be rehabilitated or repaired, you might get help from the FHA 203(k) mortgage program. This mortgage program can help you buy a home and get financing for rehabilitating or repairing it. The repayment of the mortgage loan used for purchasing the home and the repayment of the mortgage loan taken to finance rehabilitations / repairs are combined into a single monthly payment. The lower limit for repair costs is 5,000 USD. If your predicted costs are lower than this, you might be eligible for the FHA 203 (b) program instead.